After all of the relentless teasing by the Audi marketing department, we finally know what the new Audi Q8 SUV looks like. 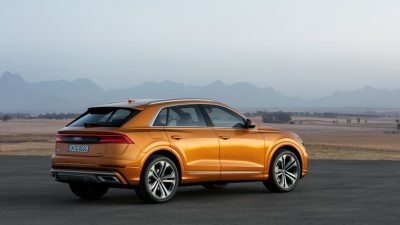 The SUV had its big debut at the Audi Brand Summit in China earlier this month, and it certainly makes a powerful statement that is sure to stand out in the crowded market. 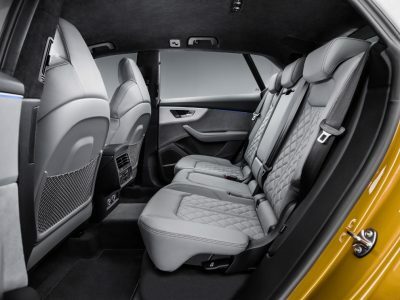 The designers of the Audi Q8 wanted to combine the utility of a much larger SUV with the style of a coupe, and the result is a five-passenger vehicle with “generous” cargo capacity. The exterior is wider and lower than its Audi Q7 sibling, adding to its appeal for fans of sedans. On the inside, drivers will appreciate the new MMI touch response display. It reportedly is as responsive as a smart phone, and when drivers are operating the screen they will both hear feedback and feel it in their fingers for faster access. The system will also be able to understand more conversational queries. For example, “I’m hungry” will prompt the Audi Q8 to search for restaurants. As of right now, there are no further details about the type of engine under the Audi Q8’s hood. We do know that the SUV will come standard with quattro all-wheel drive, which will give the driver as much traction as possible in divers driving conditions. It will also come standard with an adaptive damping suspension. 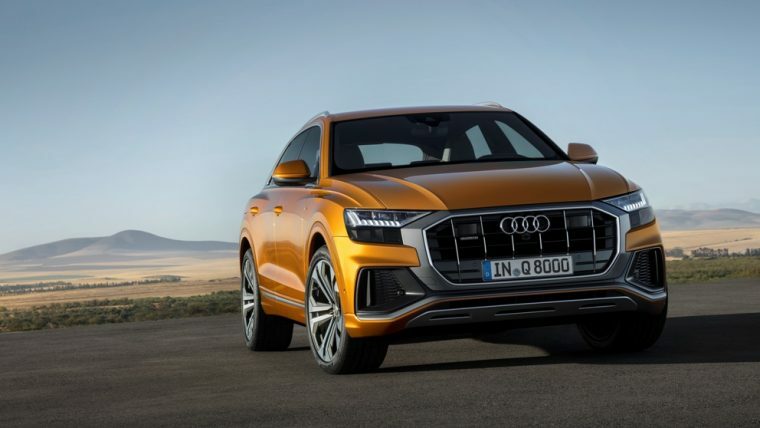 If everything goes as planned, the Audi Q8 will arrive in American dealerships in the fourth quarter of 2018 as a 2019 model.